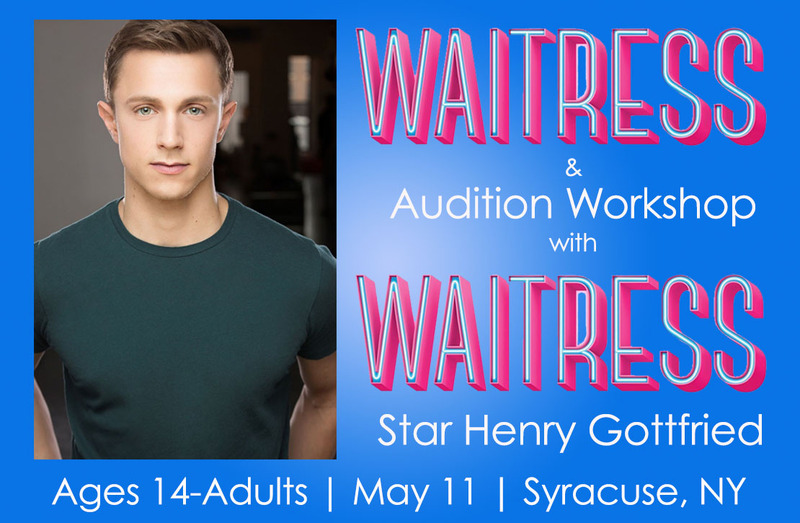 Join Henry Gottfried of WAITRESS for a WAITRESS & audition tech workshop! First, learn a song from WAITRESS alongside Henry! After we learn a song and work on acting through song and song interpretation, participants will sing a 16 bar mock audition cut for Henry and the music director who will conduct mock auditions. Get feedback on your audition tech from the Broadway performer and the music director and learn how to snag a lead role in an amateur or professional productions!